Dean and Professor of the Honors College at Michigan State University (MSU). She is also currently the Senior Associate Editor of the Journal of Urban Affairs. 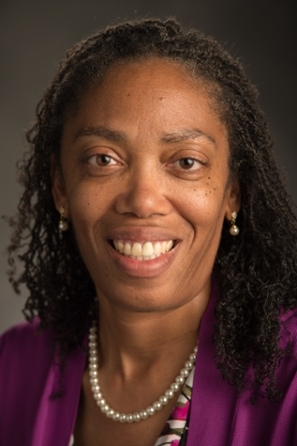 Dr. Jackson-Elmoore previously served as Acting Assistant Dean of the Urban Affairs Programs, Director of the Urban Studies Graduate Program in the College of Social Science, and Co-Director of the Program in Urban Politics and Policy at Michigan State University. Dr. Jackson-Elmoore previously taught courses in urban politics, public policy processes and analysis, and social welfare policy and services; conducted evaluations on community health care reform and was project manager for a multi-state study. Dr. Jackson-Elmoore’s work has been published in Policy Studies Review, Policy Studies, Review of Policy Research, Urban Affairs Review, Cities, Health Education Research, American Journal of Health Education, Social Work, Public Productivity and Management Review, Korean Review of Public Administration and Transactions of the American Society of Agricultural Engineers (ASAE). She has also published several book chapters and is a co-author of Reinventing Civil Society: The Emerging Role of Faith-Based Organizations (M.E. Sharp) and a co-editor of Reclaiming Brownfields: A Comparative Analysis of Adaptive Reuse of Contaminated Properties (Ashgate Publishing, LTD), Nonprofits in Urban America (Quorum Books) and a journal symposium for Policy Studies Review. She received her Ph.D. and Masters in Public Administration (public policy emphasis) from the University of Southern California and her Bachelor's Degree in Chemical Engineering from the University of Delaware.